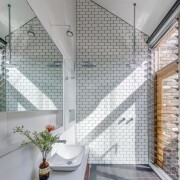 The house combines innovative architectural design with near carbon neutral green initiatives. 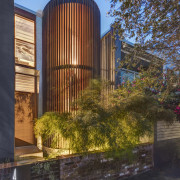 With its Aquas Perma Solar Firma project, CplusC has reinvented terrace living by locating the vertical circulation in the front façade with a glass and timber batten circular stair doubling as a greenhouse. 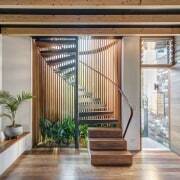 The house combines cutting edge architectural design with off grid green initiatives. 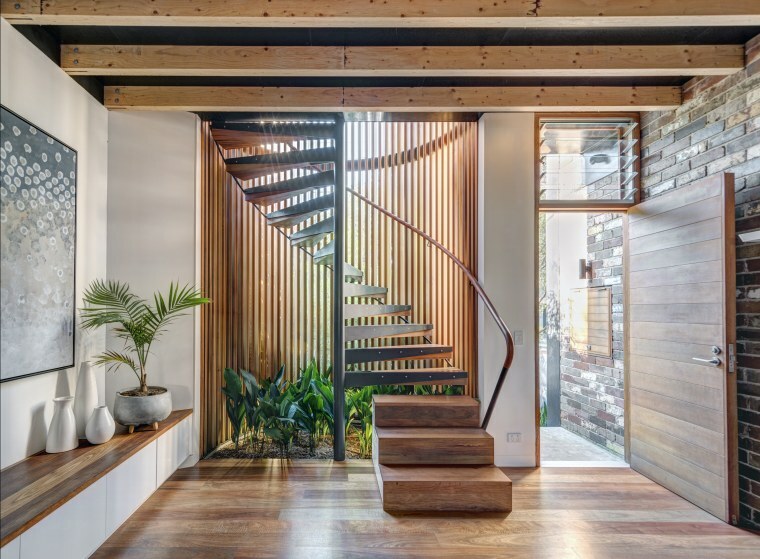 The terrace is a beautiful, small footprint home on a tight urban site that incorporates a wide range of active and passive sustainability measures inside and out. 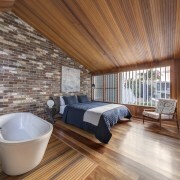 A central concern throughout the design process was ensuring the design would contribute to the longevity of the building. 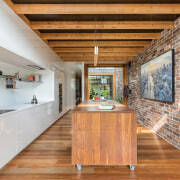 To this end, the central courtyard ensures all internal spaces are offered superior daylighting and access to green spaces despite the tight site, while internal planting beds are integrated into the home to improve internal air quality and the custom movable island bench provides clients with flexible ways to use the rear space. Pulling vertical circulation to the front of the building has improved the flexibility of the internal spaces. 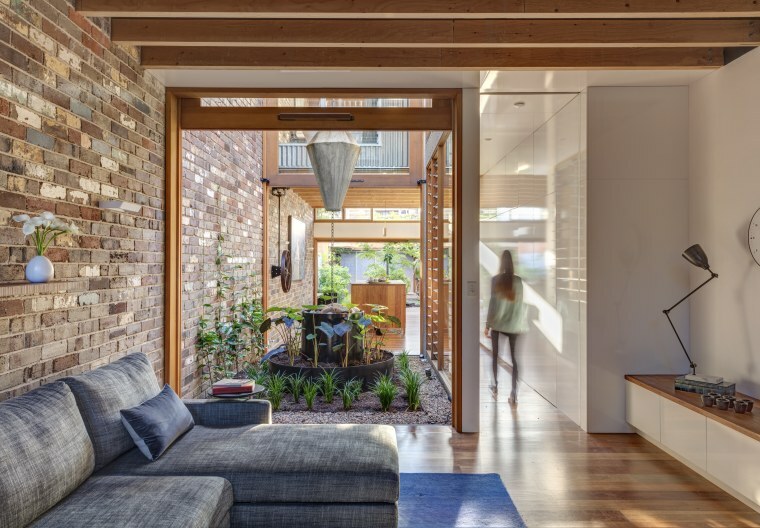 The integration of house and green spaces was a major design move, significantly increasing the interaction between all components of the residence. 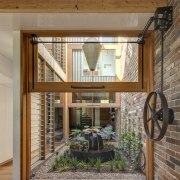 The central courtyard is accessed through vertically hung doors operated via a rack and pinion crankwheel paired with a custom concrete counterweight, while the kitchen at the back of the house can be fully opened up to flow into the rear garden. 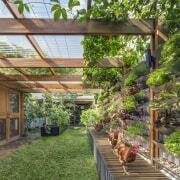 The rear garden includes outdoor seating which accommodates an aquaponics system for fish harvesting and fertilising the vertical lettuce garden; a wicking bed for drought resistance; and a compost system, while planter boxes are used for a productive vegetable garden. In addition to yielding the majority of the household’s food, organic waste produced by the household is used to feed the chickens (housed in a coop integrated with the onsite storage) and worm farm, effectively closing the loop. 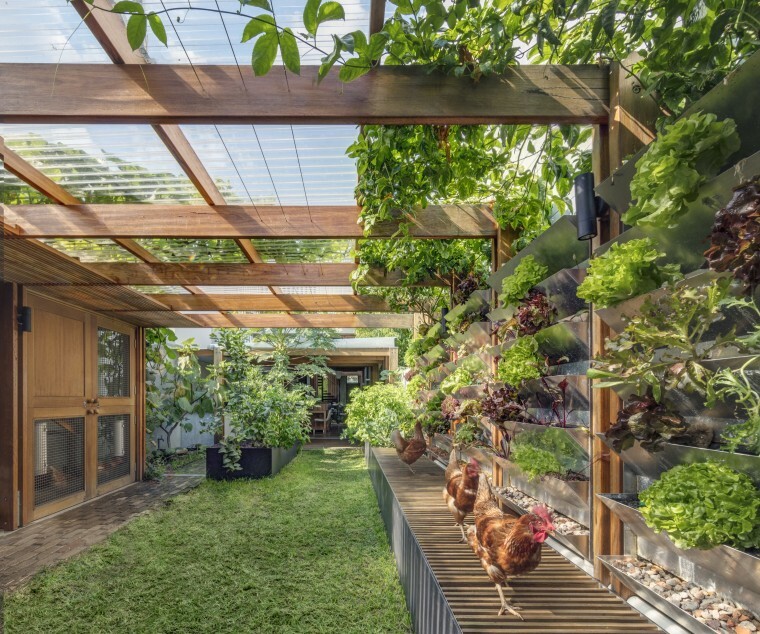 The rear garden yields the majority of the household’s food, while organic waste produced by the household is used to feed the chickens (housed in a coop integrated with the onsite storage) and worm farm, effectively closing the loop. 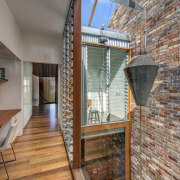 In addition to organic sustainability initiatives, the home incorporates a range of strategies to minimise reliance on external infrastructure, including installation of an on-site underground rain water storage which supplies the toilets, laundry and irrigation; an evacuated glass tube solar hot water system to supply hot water for the house; and a 1.5Kw photovoltaic power generation system to run the home and to charge the home owners electric car. 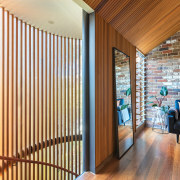 Combined, these elements have meant that the house surpassed the clients desire for a sustainable home and is virtually off grid for most the year. With the chickens and vegetable garden in full swing, excess produce is shared amongst neighbours, friends, and family. 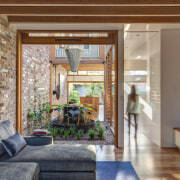 Together with the intriguing façade and front gate planter, the clients have befriended neighbours that they previously had limited interaction with, an unexpected benefit.